The online casino world is changing, and leading the charge in the coming months will be NetEnt. With virtual reality (VR) rapidly establishing itself as the gaming medium, online casino developers are now looking for innovative ways to harness the power of this new technology. Although we're still a few months away from a fully-fledged online VR casino game, NetEnt - formally known as Net Entertainment - has announced that it is busy taking the ever-popular Gonzo's Quest into a new dimension! "We firmly believe that VR has a given place in the future of online gaming, based on our research and the trends that we monitor. We remain focused on delivering the ultimate entertainment experience by taking this first step towards developing our first real-money VR slot. This is a milestone for NetEnt and the gaming industry." Teasing the launch of Gonzo's Quest VR, Eriksson suggested that the game's first incarnation could be released later this year or at the start of 2018. 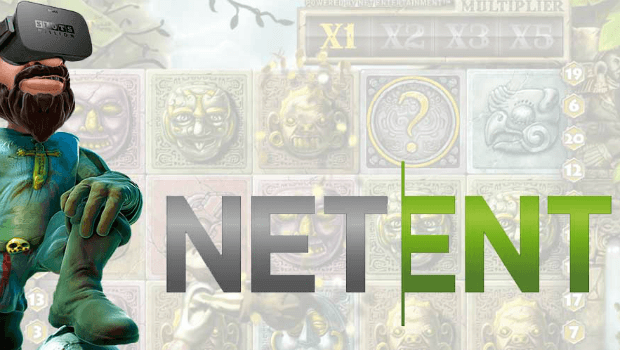 Eriksson has confirmed the VR online casino slot will be made available through the NetEnt casino module and across its multi-channel software once launched. This strategy would not only see NetEnt casinos across the industry given access to the virtual reality slot game. Players will also be given the ability to ante-up via their Smartphones and desktop devices, including all the most popular Android and Apple devices. The move into VR by NetEnt is undoubtedly a sign of the times. Following the release of new VR technology from the likes of Oculus Rift, HTC and Samsung in 2016, the market for altered reality began to boom. From fully-fledged VR console games like 'Star Trek: Bridge Crew' to augmented reality mobile offerings like 'Pokémon Go', the games market has quickly embraced the new technology to create more immersive experiences. In fact, such has been the buzz surrounding virtual and augmented reality that analysts have projected that it will be worth $120 billion by 2020. Taking into account innovative products both inside and outside of the gaming world, many believe that VR will reshape the way we experience entertainment over the next decade. Naturally, online casinos and software developers have been quick to jump on this bandwagon. Back in 2016, Microgaming previewed its first venture in the world of new gaming technology: VR Roulette. Exhibited at ICE Totally Gaming 2016, the product paired Oculus Rift headsets and Leap Motion 3D controllers with Microgaming's new VR roulette software. This early innovation not only helped Microgaming win 'Digital Product of the Year' at the Global Gaming Awards in late 2015, but also started a trend in the industry. Indeed, with Microgaming showing that the tools are now in place to create new online casino experiences, NetEnt looks set to capitalise on this with the release of the industry's first real-money VR slot. In much the same way its software rival previewed a VR product at ICE, NetEnt did the same in February 2017. Giving visitors an exclusive chance to see Gonzo's Quest VR in a working state, the NetEnt team believe their product is extremely close to becoming a part of its list of real-money slots. 360 Degree Views – From the Gonzo's Quest VR video we're able to drag our way around the environment – the game will offer a similar option. The benefit of this, at this early stage, is that many of the game options are visible at once. Unlike a traditional online slot where you have to open various menus to see the settings and prize structure, the new Gonzo's Quest VR has everything out in the open. So, by spinning around the VR world, you'll see everything you need to control the game. Explore Your Environment – The game starts with Gonzo emerging from the jungle with his trusty map. As you play the game, Gonzo is continually looking for a way to get beyond the reels (which form a gate) and continue his quest. As you hit certain combinations, it appears as though Gonzo gains the ability to move past the gate, which would then allow you to move into new scenes as the game unfolds. Falling Reels and Pop Buttons – Instead of spinning reels, Gonzo's Quest VR has blocks that fall from the sky each time you hit the spin button. Another nice addition to this game is that the spin button appears on a pop up scroll. Once a spin/fall is complete, the talking parrot will highlight any wins before the scroll appears so that you can reach out and start the next round. Jackpots that Rain Down – To make sure each big win feels special, coins and confetti will rain down from the sky. Giving you an even greater sense of immersion, this feature is likely to be a hit with online slots players of all persuasions. What Does this Mean for Online Virtual Reality Casinos? This initial VR release from NetEnt is likely to be the tip of the iceberg for the online casino industry. While it may not house all of the fancy features that some console games currently offer, it looks as though it will be a solid first step into a new reality for the iGaming industry. Indeed, as long as WebVR technology is capable of offering the smooth and efficient gaming experience that modern players are used to, then it should become a hit. Not only that, but as technology improves and players begin to appreciate the benefits of VR, it won't be long before we see slots games, blackjack, roulette and everything else in between taken to new, more immersive, dimensions! If you're interested in checking out NetEnt's flagship slot game, Gonzo's Quest, while you wait for the official launch of it's virtual reality counterpart, just head over to the new Rizk Casino today and enjoy a generous Welcome Bonus sure to get you started off on the right foot!